The Specialists For Specialties Since 1936. 51-55 59th Place, Woodside, NY 11377-7408. 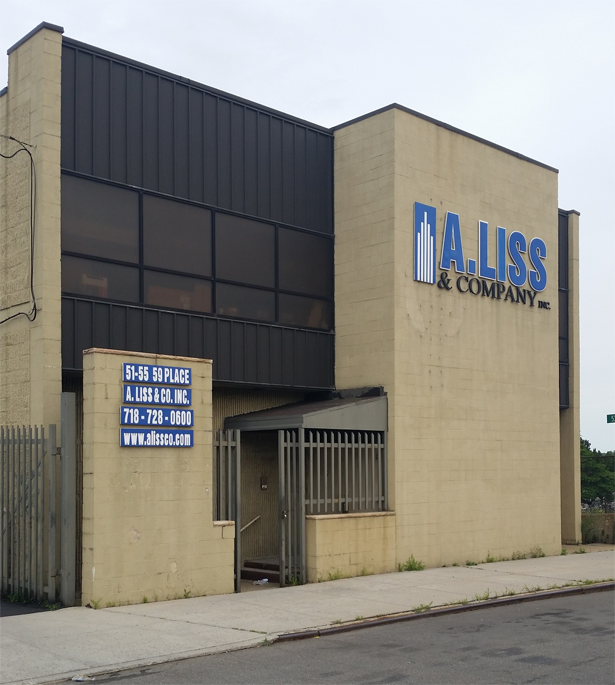 A. Liss & Co., Inc is a family owned business founded in 1936 by Isidore Liss. The company originally made a name for itself by building box trucks for New York City’s garment district. When Isidore’s son, Carl, joined the company after World War II, he expanded it to include warehouse, storage and safety equipment. For years, Carl and his brother Bernard, offered hand trucks, shelving, materials handling equipment and lockers to customers in the New York-New Jersey area. A. Liss & Co. became one of the first companies in the United States to market materials handling & safety products through nationally circulated mail order catalogs in the 1960’s. Through the 70’s & 80’s, we derived our sales through national direct mail compaigns and a regional outside sales force. During the recession of the early 1990’s, Carl’s sons, Jeff and Jerry Liss changed the direction of the company, targeting the needs of general contractors. Starting with lockers and shelving, A. Liss became a force in the tri-state area. Throughout the 90’s and into the new millennium, we continued and will continue to expand our product line, offering one-stop shopping to the general contractor market place. Competitive pricing, reliability, integrity and expertise are among the key ingredients in the successful business recipe of A. Liss & Co., Inc. We offer customers a wide range of products from the industry’s top manufacturers. Our experience and attention to detail, honed over three generations, have made us the preferred subcontractor specializing in Division 10 items for a cross-section of projects. Our innovative sales philosophy has helped our core business to change, to grow and to flourish with the times.